We are really pleased to announce that ‘Tudor Dance‘, our new resource for schools – and anyone else who’s interested really! is now available. We are doubly pleased right now, because we were able to produce Tudor Dance as a Kickstarter project. Backers from all over the world – well, from California to Australia – generously supported the project, helping us to fund its production. We have just recovered from sending out all the rewards! 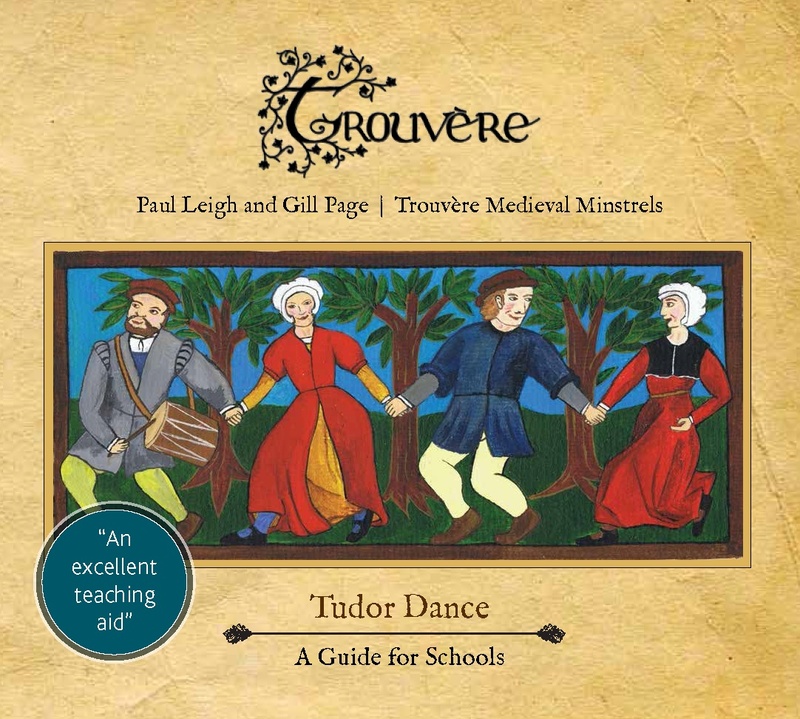 It’s the fruit of long labour – having presented many Tudor music and dance sessions with school children and others, we originally produced a guide to ‘Medieval and Tudor Dance’ over ten years ago, as an A4 booklet + CD pack. This sold very well, but we were keen to go interactive, as we knew video and audio would support and aid the learning process immensely. Having decided to rework the original guide, we overhauled all the choreographies in the original, revisited the descriptions of the steps and – very important – added more complex steps and two whole new dances to the collection – a Galliard and a Country Dance. These two broadened the scope of the new guide considerably. While recording the audio for these new dances, we also re-recorded much of the original material. Tudor Dance will be available soon from our website, but if you are desperate to get your hands on one, just get in touch via email or Facebook and we will attend to your order with all due despatch: the pack costs £12 + p&p. This handsome – and pretty unique – resource is also available to museums, music and book shops who are interested in stocking it – again, just get in touch! This entry was posted in Uncategorized and tagged medieval, renaissance, renaissance dance, Tudor, Tudor Dance, Tudor music, Tudors in schools. Bookmark the permalink.